Keeping the business model simple has paid off handsomely for Charles Smithgall over the past 18 years he has been an Aaron's franchisee. "This is my fifth career, but my first in franchising," says the 71-year-old. "It's a fantastic business model because it allows me to focus on operations and execute. Everything else has already been worked out." And working out it is for Smithgall. 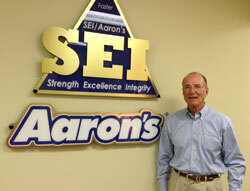 When we last spoke with him (MUF 2008, Q4), his SEI/Aaron's company had 61 locations in 7 states. Today, he has 105 locations in 10 states. And though he's preparing to hand over the reins to his son, Chas, in January 2015, Smithgall is not slowing down--in fact, he's stepping on the accelerator. 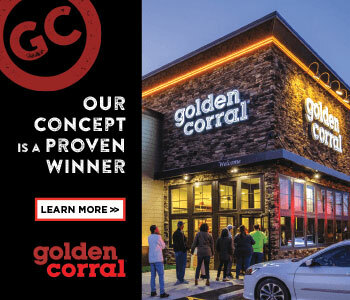 "We're right in the middle of a 10-year goal to grow to 200 stores, $250 million in net revenue annually, $20 million in net profit annually, and to create 25 millionaires within our system," he says. Bold goals to be sure, but Smithgall is just the kind of person who can make it happen. "Our business is all about people," he says. "We need great people, especially our store general managers. We search hard for the best and test them, and when we find them we reward them and treat them right so they stay with us for a long time." His goals may sound big but, he says, but "If I didn't have goals I'd probably still be operating five stores." Growth obstacles for Smithgall's company have little to do with capital or acquiring territory. Rather, it's hiring and retaining great people that present the biggest challenge. "I'd guess about 90 percent of the general managers throughout franchising would not be able to successfully operate an Aaron's store," he says. "Our managers not only have to make the sale, they have to collect the dollars." That's no easy task, he says, because "Our customers are always in a financial crisis." Aaron's is there to help them, which is one of the beauties of the brand's business model. Smithgall, who calls himself the company's "cheerleader," is still active and on the road regularly. When we spoke, he had just finished a three-and-a-half day trip that saw him travel more than 1,500 miles, visiting 32 of his stores across 5 states. He leaves his home base in Atlanta to visit his stores throughout New England every week. SEI/Aaron's has grown over the past five years from a combination of acquiring existing franchisee stores, company-operated locations, building new stores, and converting independent stores into the Aaron's brand. "I'll do whatever deal makes sense," he says. Asked if he had ever considered additional brands, Smithgall quips, "I already know this business model, why would I go and have to learn another?" Seriously, he says Aaron's is a great company with plenty of expansion opportunities, and he's hoping to get in on the brand's HomeSmart concept. So far those stores are all company-owned, but if Aaron's offers HomeSmart franchises, Smithgall plans to be at the front of the line. It's been a great ride for this Southern gentleman, who recalls his 90-year-old father asking him what he was doing 18 years ago when he was first kicking the tires of the Aaron's brand. "He said to me, 'Son, if you're gonna hitch your wagon to a star, make sure it's a rising star.'" It was, and nearly two decades later his star is still rising. Great mentors: Dad, Georgia Tech Football Coach Bobby Dodd, Georgia Tech Athletic Director Homer Rice, Bob Holder, Ted Turner, and Charlie Loudermilk. I've been lucky enough to be part of developing a great little company. Paid too much for real estate and stuck too long with under-performing general managers. Begin purchasing our real estate sooner. I usually fly out of Atlanta an average of 3 days per week and visit 20 stores per trip. I'm on the road about 300 days per year visiting stores, calling GMs to cheer them on, and calling new associates to welcome them to SEI/Aaron's, Inc. Traveling, fishing, hunting, and golf. Two times a day for one hour with trainer. None. I still have a flip phone. Rumsfeld's Rules, Total Recall, and The Heart of Mentoring. It's your attitude rather than your aptitude that will determine your altitude. Don't ever, ever, ever give up and don't ever, ever, ever run out of cash. The fear of going broke. I love our SEI/Aaron's associates. I love the people at Aaron's, Inc., our franchisor, but most of all, I love our customers and making their dreams come true. I work hard and play hard. My favorite time is being with my family. I take 25 vacations a year. There are three: Ronald Reagan, Theodore Roosevelt, and Abe Lincoln. "Surround yourself with people smarter and more talented than you are." In my case, they are not hard to find. Let people do their job and cheer them on when they do. Upbeat with the attention span of a gnat and high-energy. One thing I'm looking to do better: Move faster... we're in a hurry. I'm liable to die before we get this done. Our store teams have a great deal of flexibility on how they operate. All I want is for them to make all the money and win all of the awards. Fortunately, we have a great president and COO, Dave Edwards, who is totally immersed in our operational performance. I visit all 105 of our stores a minimum of four times a year, but my role is different than Dave's. I visit t to: a) meet our new associates; b) congratulate the general manager and staff on the success to date; c) note any real estate deficiencies, and d) greet every customer. Timely delivery of merchandise, effective brand advertising, and field support. Almost all of our vendors deliver to Aaron's, Inc. The franchisees receive merchandise from 18 store fulfillment centers placed strategically around the country. We can order on Monday and receive our order on Wednesday. It's a great system. We are adapting to young people who want to shop online. We hire slowly and terminate quickly, but usually not quickly enough. We have Aaron's University, which is a great online training resource. Don't do what you say you are going to do. a) $750,000 in GAP; b) 7,500 customers; c) 94.9% collected; d) 9.5% profit in mature stores; e) 110 stores. Number of stores and annual revenue. Five years: be a $300 million company. be a $700 million company. We haven't felt the economic changes in our company. We are as good as our people. The economy does not seem to affect our business. Our success is based solely on our operational performance. We operate in 10 states, so no effect. It's easier because we have an 18-year track record of outstanding performance. We have a revolver with three bank participants and we have funding available for acquisitions. National banks. It's simple, easy, no loss of control, and great rate. We have a great 401(k) that matches 50 percent up to 6 percent. All associates are paid commission on performance, and we have what I think is the best compensation plan in the retail industry. We've been fortunate in controlling our healthcare costs because we have a great agent. We have an annual, all-expenses-paid excellence trip to someplace warm with our top-performing associates and spouses. Our general managers are compensated 16 percent of the pretax profit plus 2.5 percent of the net revenue of their store each month. My son, Chas, who's 32 years old, is my successor. He will take over as CEO on January 1, 2015.